ATR Lifting Solutions is a leading provider of all lifting equipment and associated services: a specialist in the supply, testing, inspection, maintenance and management of equipment. 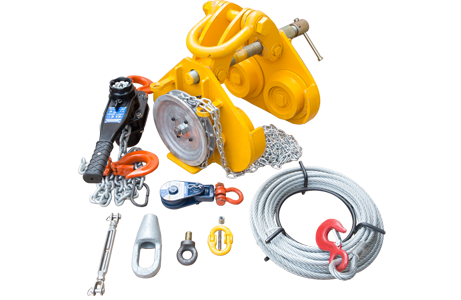 We provide lifting equipment and accessories across the vast spectrum of lifting operations: hoists, blocks, clamps, shackles, hooks, chain products, wire ropes and the full range of accessories – all sourced from the world's top manufacturers. We also hold distributorship agreements with a variety of market leaders within our area of expertise. Our customers include some of the largest operators and contractors in the international oil & gas industry, both in the UKCS and overseas markets, as well as other sectors. Our structure encompasses individual teams that support specific areas of expertise: subsea contractors, drilling, topsides and projects. Our highly trained and qualified staff, industry-leading resources, safety-focused philosophy and strong supply chain combine to create a service offering characterised by professionalism, reliability and strength. We deliver inspection and recertification work on a wide range of equipment, and possess a comprehensive testing infrastructure that equips us to perform inspection and load-testing of equipment – either on client sites, on assets or within our own facility. All our inspection teams are qualified in rope access, so disruption to customer operations is kept to a minimum. We have an in-house capabilities to manufacture wire rope slings from 3mm to 90mm in diameter, both Talurit and Flemish eye splice terminations and in accordance with the relevant BSEN and DNV 2.7-1 standards. In addition to this, we possess a wide range of wire rope spooling machines from 50te to 250te capacity for use in operations on our base, on client vessels or on installations. More than that, our technical and consultancy support represents an extra dimension to our services: one designed to inspire new levels of confidence in your lifting operations. 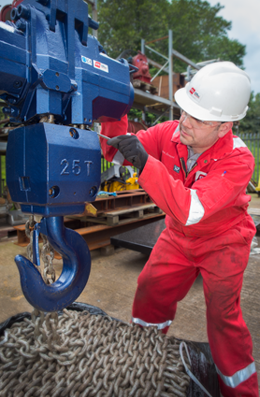 We possess a specialist capability to carry out on-site inspection and recertification work on a diverse range of lifting equipment. Our in-house resources, infrastructure and substantial expertise in this key area means we deliver extra assurance when it comes to operational integrity. All inspections are carried out in accordance with LOLER 1998, and all inspectors are qualified to ANST level ll MPI & DPI & fully trained to LEEA standards. An extra dimension that is delivered onshore or offshore to add extra value to our services. ATR works continuously with our clients to plan and schedule site inpsection visits offering the complete management package for this element. However, we recognise that on occasion urgent visits are required and we offer a 24 hour ad-hoc on call service to facilitate these circumstances. We provide qualified personnel to conduct NDT inspections when required, where we will adopt suitable techniques to include Eddy Current, MPI, DPI and UT inspections. These inspections will be conducted on equipment as required. All scopes of work will be supported by ATR at short notice by utilising our team of dedicated inspection engineers, either on board your assets or onshore if required at your nominated sites. This will be conducted in conjunction with the wire rope management element whereby the inspection engineers will have the competency to include but not be limited to conduct thorough examinations, testing, spooling and the re-termination of wire rope when required. We can perform load-testing on virtually any piece of equipment using a testing infrastructure that encompasses various sizes of horizontal and vertical test rigs, a container test rig and overhead crane. We’re also equipped to carry out destruct testing on umbilical and wire rope samples as required. Our priority is to provide our clients with a unique and prompt service. We are primed to deliver rapid turnaround, which given the nature of our industry, we need to ensure that we can accomadate without exception. This is supported by our highly experinced personnel, strong established lines of communication and in-house planning which is constantly monitored. 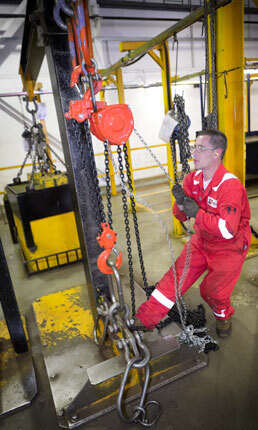 We provide equipment from across all lifting activities and from many of the world’s leading manufacturers. We carry equipment that can support projects of virtually any size or scale, and our teams of experts are ready to provide professional consultancy support, to ensure you’re getting exactly the right equipment for the project requirements and deploying a safe, cost-effective solution. A unique hub of technical and legislative expertise underpins all our lifting services. Beyond the supply of robust and proven equipment and accessories, ATR Lifting Solutions can ensure that the safest and efficient lifting environments are created. From day-to-day guidance and advice, to the preparation of full-scale systems designed to achieve full compliance and optimum performance, we deliver consultancy services our customers know they can trust. Some of the world’s largest oil & gas operators draw upon our expertise to manage their lifting infrastructures in operations around the world. They know they can depend on us, because we make it a priority to remain at the forefront of technical and regulatory knowledge: to use information and data from manufacturers, verification bodies, statutory organisations and industry forums to shape the best possible customer support – and enhance our in-house capabilities. More than that, we’re active – and long-established – participants in several high-level industry groups. So we’re not only helping to shape and develop lifting sector standards, we’re adding extra substance to our consultancy services by helping our customers understand the wider context: the bigger picture. It’s a depth of knowledge we use to formulate our Written Schemes: an innovative, risk-based approach to lifting management that encompasses inspection, thorough examination and maintenance. An integrated method that unites these interdependent areas and reflects the unique circumstances of any lifting operation, it constitutes a clearly defined and more focused approach to achieving compliance. That same rigour applies to our audit and assessment work. We routinely perform expert checks in the supply chain – right back to source – to ensure equipment and materials meet your standards. And we’re ready to train your personnel in risk assessment, planning and deployment, while developing bespoke courses if required. 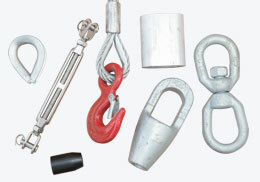 ATR Lifting Solutions is one of the principal UK stockists of both general purpose & high performance wire ropes ranging from 3mm to 90mm diameter to let us fulfil our customer’s varied and often time sensitive requirements and so as to assist them to safely and cost effectively perform all manner of lifting, mooring & towing operations in an offshore or marine environment. General purpose ropes are typically made up as lifting slings, assemblies or as winch wires and the company not only possesses competent, experienced personnel but an extensive range of specialist equipment to facilitate their preparation. 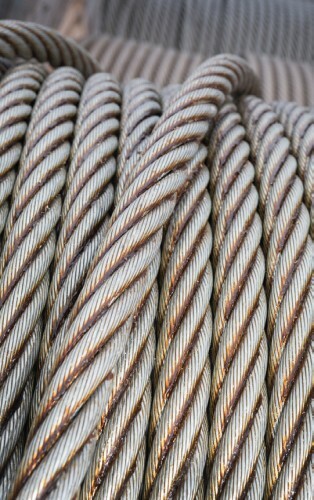 High performance ropes are delivered for more specialist long-term applications often being incorporated in sophisticated, operational or mission critical mechanical handling systems and ATR strives to be a focal point for our customers in terms of giving technical support or guidance concerning their selection, installation, maintenance and use. They too can be accurately cut to the length and fitted with a large range of end fittings using innovative processes. Ropes of the same diameter but having different lay directions or tensile strengths are kept on stock in order to ensure even the most demanding of uses can be catered for. Sourcing from reputable manufacturing operations, ATR typically has the ability to locate a rope product that may not be immediately available from our extensive stock on a prompt basis so as to assist in meeting our customer’s requirement.